I much prefer physical books over my kindle although I do like using both! There’s something about holding a book physically in your two hands whilst you read it that enhances my reading experience as well as makes it easier for me to see my progress through the book. I do love my kindle though and you can’t beat those kindle sales! Ummmm this one is so hard because I can’t think off the top of my head haha. Characters that immediately spring to mind though include Kai from Summer Bird Blue, Nik Malikov from Gemina, and Malachiasz from Wicked Saints. I very nearly DNF’d More Happy Than Not after the first chapter because of the prominence of mental illness and suicide in the main storyline. However, after taking some time to think about it I pushed on and am glad I did because it ended up being such a cathartic read for me and, as always, Adam Silvera’s writing makes my heart both full and destroys me. I never miss an opportunity to plug Failure to Communicate and this time is no different. It has made me so happy to see so many bloggers pick up on books like The Song of Achilles by Madeline Miller and the Wayfarers books by Becky Chambers, but it makes me a little sad to see that people still haven’t caught on to how amazing Failure to Communicate is. It has a brilliant story, great queer autistic rep and is written by an own voices indie writer. It’s a book that I will keep talking about until it starts getting more love! I’m sure that my childhood was full of important moments in my reading life but I’m turning 27 next week so my brain can’t remember that far back now 😉 A more recent important moment was the creation of this blog because it has literally changed my relationship with reading from the way I read and the types of books I read to the people I interact with and events I go to. I have so much more book related content in my life now and it makes me overjoyed. I just got finished with The Vegetarian yesterday and it was honestly the weirdest book. I have absolutely no idea what I think of it but it was just utterly bizarre. Thankfully it was only 200 pages so although it wasn’t exactly my cup of tea it was easy to push through to the end but I have definitely been having nightmares since! There aren’t many kinds of books that I will straight up just not read but if I don’t read it there’s probably a reason for it. One of my straight up nope genres is grimdark and I think it goes without saying that I don’t read anything that is racist/sexist/queerphobic/Islamophobic, etc. According to my Goodreads ‘read’ shelf the prize for that goes to A Feast for Crows at 1,061 pages. I don’t even remember it being that long so clearly it was an enjoyable 1,061 pages (iirc it was my favourite book of the series). I don’t really know what is meant by a ‘book hangover’?? This is not something I’ve ever heard of before. At the moment we currently own 2 bookcases – 1 large bookcase in the front-room and one medium sized one in the bedroom. Believe me, I would love to own more but there is not space in our little house for anymore bookcases. Limiting it to 2 bookcases also helps keep the number of books I own under control as well. 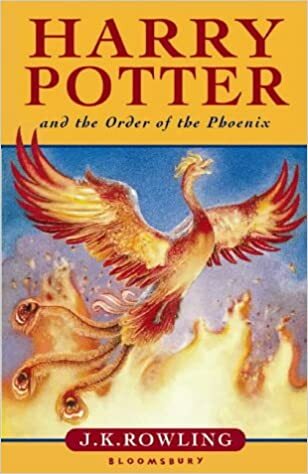 I think OotP wins this one hands down although there are a lot of other books I reread a lot as a child such as Saffy’s Angel, The Exiles, The Princess Diaries, any of the Jacqueline Wilson books, and His Dark Materials. Rereading isn’t a think I do as much anymore but that’s mostly down to having access to a lot more books that I can read. My ultimate preferred place to read is in the bath and the next places are actually outside – either at the park or on a train. Although I love reading on the sofa/in bed I end up getting tired really quickly and falling asleep in the middle of reading if I’m too comfy. I think one of my biggest regrets is that I used to pirate a lot of books as a teenager and now I feel incredibly guilty about this. Although I felt like I had good reasons for doing it at the time (unable to leave the house to go to the library, no money for books and cut off from accessing any new reading material) I feel very complicated about those reasons now, especially as a result of all of the current discussions around this on twitter. I do now try to buy as many books as I can, even if it’s just in the kindle sale, and borrow anything I can’t afford from the library to support authors. Do you want the long list or the short one? Ha! My unfinished series list is super out of control at the moment. Some of the ones I can think of include The Mortal Instruments, Winternight Trilogy, Planetfall, Divergent, Red Rising, The Ember Quartet and Legend. This is so hard because there are lots of brilliant books being released this year and it is a very exciting year for diverse fiction. One book I am desperate to get my hands on though is American Cosmic, a book that was advertised to me on Edelweiss but I couldn’t request (boo US/UK divide) so would love to own a copy. It’s an amazing looking book about an ethnographic study done in the US on Americans belief in extraterrestrial life. It is such a me book. My worst bookish habit at the moment is buying/receiving books and not reading them straight away. I promised myself I would kick the habit this year but so far… I’ve only read one! I’m not at home at the moment but luckily I have pictures of my bookshelves from my Marie Kondo post I did recently. According to the picture my 27th book on my bookshelf is the D&D Player’s Handbook but I know I put it back in the wrong place after our D&D session on Monday so it’s actually the Fallout 4 Vault Dwellers Survival Guide. The last bookish purchase I made was Heartstopper Volume 1 by Alice Oseman. I managed to pick up a pre-signed copy from Forbidden Planet when me and my partner went for a queer nostalgia trip to Gays the Word. The most recent book that kept me up super late was Summer Bird Blue. I misjudged my reading schedule for both the Wicked Saints and SBB blog tours meaning that I didn’t leave myself enough time before the blog tours to actually finish reading the books… Well done me. As I had already been unable to post a proper review for Wicked Saints on my assigned blog tour day I didn’t want to let it happen again so stayed up late to finish SBB. Once I finished I decided to make a SBB inspired playlist and… well, next thing I knew it was 7.30am! I am so terrible at reading sequels. I don’t know why! Loved reading all of your answers! Coffee is usually my reading drink too 😀 Recently i bought instant chicory, cuz i can’t drink coffee late in the evening, but this thing tastes fairly similar, so i’m happy. And I loved Song of Achilles! Such a good book.